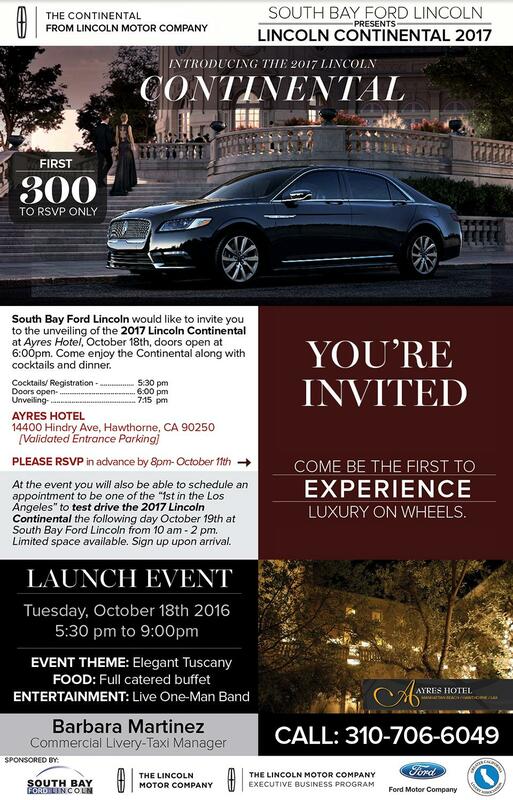 South Bay Ford Lincoln would like yo invite you to the unveiling of the 2017 Lincoln Contenental at Ayres Hote, October 18th, doors open at 6:00pm. 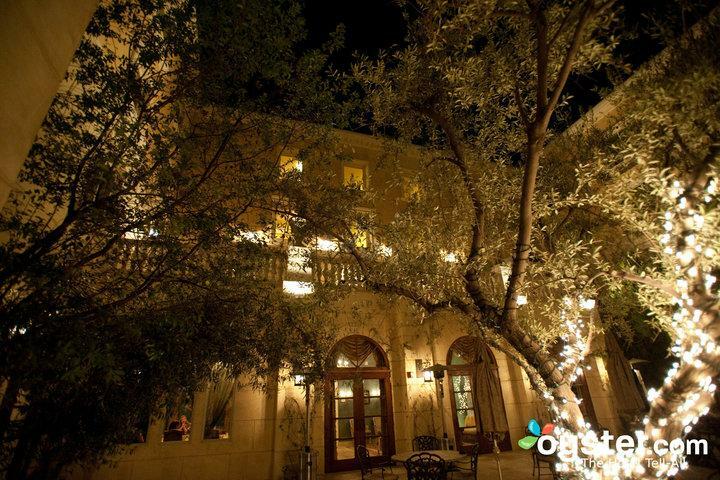 Come enjoy the Contenental along with cocktails and dinner. At the event you will also be able to schedule an appointment to be one of the 1st in the Los Angeles to drive the 2017 Lincoln Contenental the following day October 19th at South Bay Ford Lincoln from 10am - 2pm. Limited space available. Sign up upon arrival.